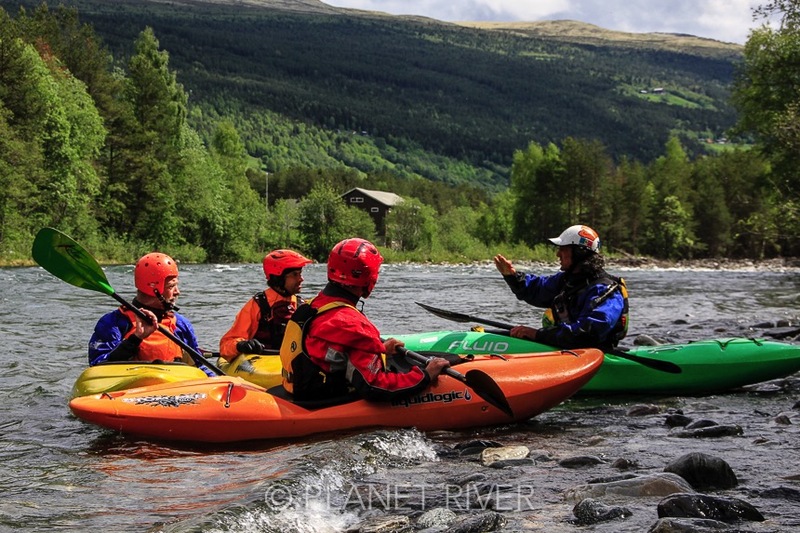 * Our focus is a safe instruction session and assisting you to improve your kayaking skills on the white waters of the Sjoa and nearby Otta & Lågen rivers. * Regardless of your competence level we start with refreshing the basics on calm water - posture, balance, edging, bracing, key paddling strokes and self rescue - correcting bad habits and poor technique. * We then move into the current, instilling the practiced basics into traverses, eddy turns and momentum paddling & boat control in unstable waters. * After a warm-up roll or three, then its time to move on downriver and practice - reading & understanding river features, bomb-proofing the eskimo roll, controlling descent by catching eddies & slower waters, varied group paddling dynamics and on the go signals, surfing to safety and finding rhythm in the flow as we instruct you down a route. * Additionally, we help to keep you away from tricky waters and unseen dangers, and will assist with scouting & portaging, T-rescues, hand-of-gods, and cleaning up in the event of swims or mishaps if needed. * We are flexible, and are able to cater for the ambitious and the most reserved of paddlers. * Ideally the more days you have available consecutively, the more we repeat and progressively upscale the techniques learnt. * There are a variety of options including difficulty and distance which we will decide on during the request & booking process. * The upper section starting in Heidal is a good introduction to the Sjoa and for those who are wanting to upgrade from beginner to intermediate level. Repeated laps on this milder version of the playrun will get confidence into your strokes and moving down continuous flow. 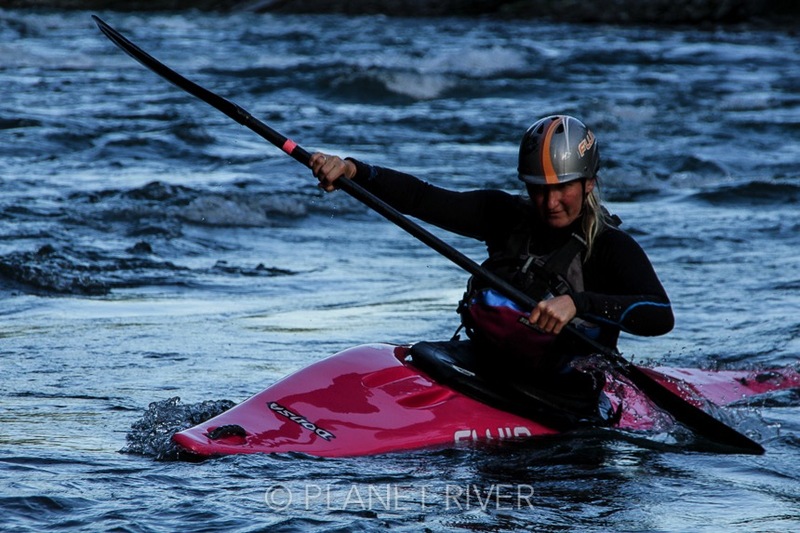 * The playrun is also perfect forthose who used to paddle Grade 3 & 4, but have not paddled in a long time, and want to get back into the whitewater paddling game. * We shall consider this route if you have a good eskimo roll, have a good understanding in reading whitewater and are able to control and manoeuvre your boat as required in continuous Grade 3, and are now looking to push your skills. * There are several must make moves which may require detailed scouting of the bigger rapids to visualise options. * Longer sections of continuous whitewater will get us practicing effective on the move communication that translates to safety & cover. * Plenty of opportunity to practice your boof and dry-bow techniques. * Reactionary & diagonal wave approach and execution can be explored on the walls, many tight bends and large boulders in this secluded canyon. * This is a medium volume, wide river at normal flows with long rapids in an open valley. * The upper is a little easier with big calm eddies which aid in practicing the eskimo roll & the training of basic skills for the less experienced. * The lower has 1 bigger rapid amongst others to test boating skills & provides a larger arena for scouting skills. * Both sections together, make for a satisfying & challenging 20km+ river run for those progressing from beginner to intermediate level. 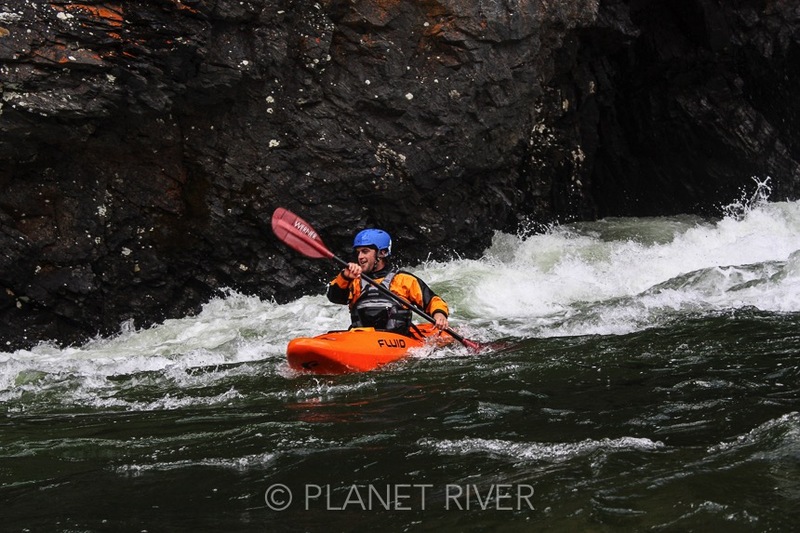 * We utilise the 7km from soon after the Sjoa River confluence. This is a wide, strong & slower moving section of river with small wave trains, strong eddy lines and continuous flow. * Basic and essential skills like ferrying, boat edging and boat control in moving flow will be repetitive. * Short routes for multiple laps is great for repetition. * Deep eddies with easy access to shoreline safety for fine-tuning the eskimo roll. * Meet and greet at agreed put-in/take-out, already dressed and ready to go kayaking. * Plan briefing for WW Instruction session. Sign waiver/indemnity. 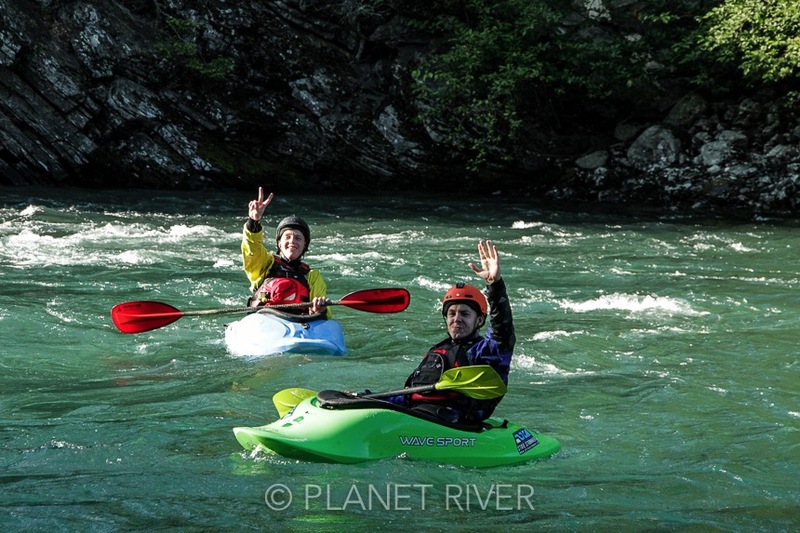 * Safety brief - signals, rescue scenarios, river etiquette. * Brief warm up session. * Flow with the river, stopping for feedback, upcoming river info, scouting,and occasionally for rest breaks, surfs, snacks and a steaming cup of tea or coffee. * Finish up with a laugh and high 5`s, feedback moments, load boats and gear, and complete the shuttle. * Åsengjuvet & Åmot Fallene routes may require a prior session together on an easier section of Sjoa to determine your skills. These routes will include must make eddies, scouting and/or portaging. * The gradings listed for offered routes, is based on low water flows. * We are happy to discuss combinations of the route options for a multi-day learning and skills improvement experience. * The Lågen & Otta Rivers nearby (see options above) are viable & recommended options for those who have just got into whitewater kayaking, are executing their eskimo roll 50% of the time, but now need river miles to gain experience and practice basic skills on slightly safer routes of river with lower consequences in the event of a capsize which requires an eskimo roll or swim/wet exit.